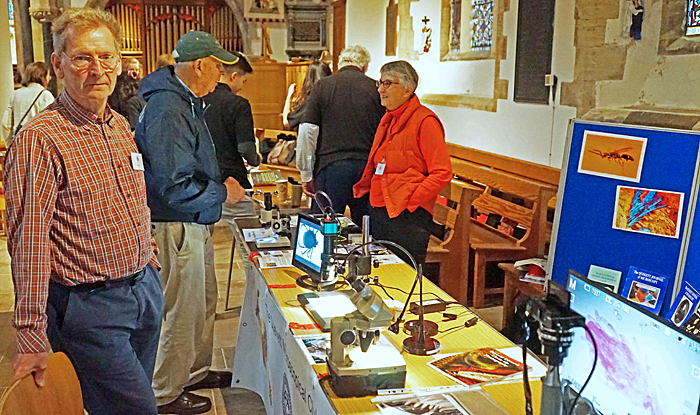 For Super Science Saturday at the Sidmouth Science Festival, the Club set up a display in the parish church alongside the Met Office, astroscientists from the University of Exeter, the Environment Agency, the Institute of Physics and Colin White. 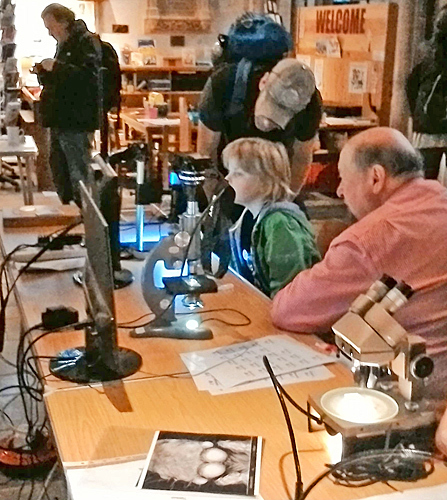 Events throughout the day included Colin showing the behaviour of balls in sporting activities, the Met Office encouraging you to do your own TV weather forecast broadcast, the physicists with hands-on experiments with sound waves and density, the astroscientists getting into the skies and our contribution of David Spears showing some of his super magnified images. 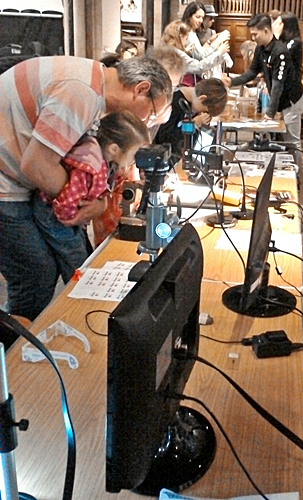 We had a static microscope display throughout the day with David and Madelaine Spears showing on screens a variety of specimens using digital and conventional microscopes, Jeremy Poole with another digital camera showing insects and some of his detailed photos from his SEM, and Pam Hamer showing how to use microscopes and UV illumination to prove £1 coins and £5 notes were genuine. It was quiet at first, but by lunchtime the church was humming with many families with primary-aged children coming in. 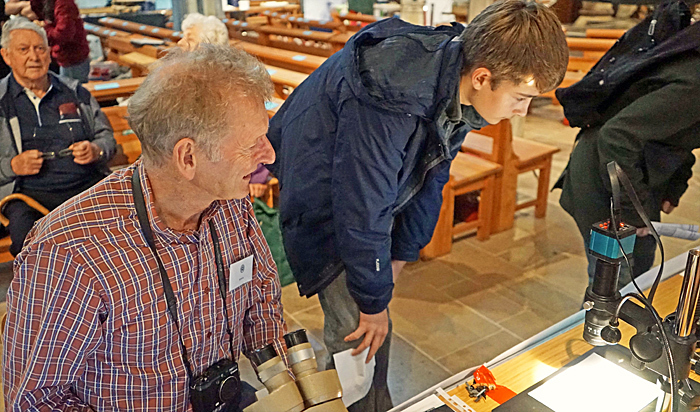 Several of the older generation were very interested in the details of our displays. 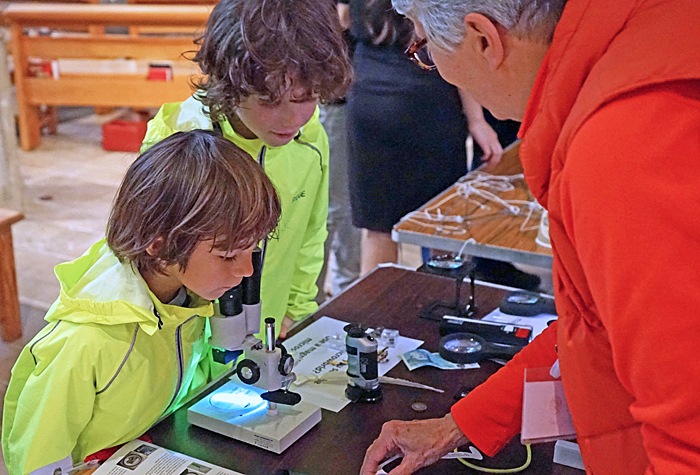 An aim of this event is to show children that science is fun and interesting and although the youngsters were enthusiastic it is disappointing that there were relatively few teenagers, the people we want to encourage into science and engineering. As always the hospitality from the organisers of the event was excellent making sure we were well supplied with teas and coffees and a lunch pack. 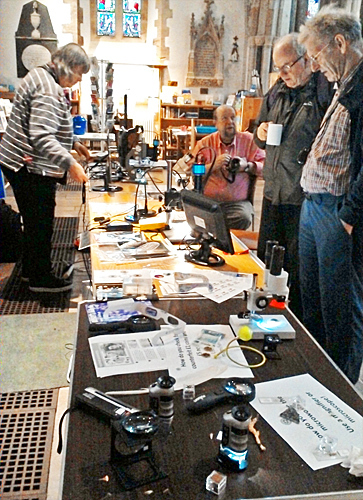 The organiser hope to be able to continue with this event next year – the date suggested is Saturday 12th October 2019.